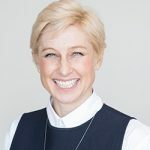 The people-owned business model is gaining ground across many different industries, writes Business Council of Co-operatives and Mutuals CEO Melina Morrison, as part of a series of 2019 predictions from leading experts across the social sector. In 2018 the cooperative and mutual sector went from strength to strength. Both major political parties in Australia now have articulated portfolio responsibility for the sector. By the end of the year, draft legislation allowing cooperatives and mutuals to raise external capital had been prepared and is expected to receive across the board support. With the Banking Royal Commission due to report on 1 February, the ability to raise capital would allow mutual banks and credit unions to offer an ethical alternative to all Australians. But that’s not the only game in town. The people-owned business model is gaining ground across many different industries. The National Disability Insurance Scheme and the poor treatment of Australians in institutional care is prompting an urgent rethink of care provision models. Member-owned models will emerge as a solution to ensuring adequate care for vulnerable people. At the same time, employee cooperatives of aged care workers will ensure that these vocations are able to take ownership of the caring services delivered and draw a fair wage. Recognising that alternative providers are needed to deliver customer-focused services, governments are beginning to explore mutual and cooperative models. In South Australia, an employee-led cooperative has been formed to deliver early intervention services for children with disability and developmental delay under the NDIS. As the successes of these early experiments become evident, we expect to see more cooperatives and mutuals formed to serve the public. In its National Platform, ratified at the 2018 conference, the Australian Labor Party specifically mentioned the role of cooperatives and mutuals as a “flexible structure with the potential to not only create economic value, but also to foster community”. This recognition of the community-building power of the cooperative sector will recommend them as a model well suited to addressing the challenges of regional and rural communities. Policy makers of all stripes are realising that supporting cooperatives in their endeavours to provide regional and rural Australia with local alternatives to the conglomerates strengthens communities as well as fostering competition and choice. Creative and sport industry professionals are cottoning on to the potential of the cooperative model. IF.com.au recently reported on a cooperative of independent Australian film-makers who are coming together to support each other’s work and strengthen the industry as a whole. Cooperative platforms such as SMart-eu.org in the EU provide mutualised tools and services to facilitate administrative work and project management for freelancers in these type of industries. Sporting clubs are also realising that fan-ownership can energise their supporters and offer an alternative funding model. In Victoria the majority of AFL clubs are owned by their members, particularly the core Victorian clubs. Members guarantee vocal supporters on the grounds and provide critical financial support, both directly via payments and indirectly via sponsor attention. The North Queensland Cowboys are 100 per cent community owned, and directly reinvest in their local community via their adopt-a-school program, where each player adopts and regularly visits local schools. They have a solid local talent development program. With more clubs expressing interest in the model, we expect this trend toward sporting cooperatives to grow in Australia. Flexible work is here to stay, as workers embrace the opportunity to ramp up and down to meet their life circumstances and incorporate other goals. But the “collaborative” economy is about to get more cooperative, as regulators crack down on platforms such as Uber and Foodora. “Platform cooperatives” are emerging to take their place and ensure that workers keep their earnings by democratising the digital economy. The Business Council of Co-operatives and Mutuals will continue to raise awareness of, and advocate for, the sector in 2019. The achievements of the last several years have shown that the cooperative and mutual model is not a thing of the past, but a strong model with the ability to make Australia resilient to economic turbulence. Together, our members are making Australia a better, stronger, more equal and more ethical place to live. I would like to extend my gratitude to our existing members and extend a warm welcome to members joining us in 2019. We are changing the world cooperatively. About the author: Melina Morrison is CEO of the Business Council of Co-operatives and Mutuals. Melina Morrison is CEO of the Business Council of Co-operatives and Mutuals.